How can I change param called "Glow" in BP? I would like to change Glow to 0 or 1 in BP. 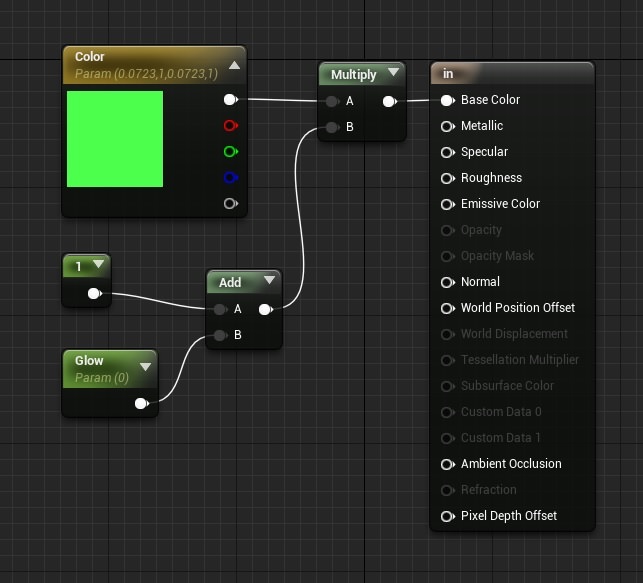 Thanks and is possible to get Material Instance without variable MD Cube? For Example Cube (Ref) -> Get Material -> Get Instance.